Hi! My name is Whitney, and I work for Fairhaven Health. I thought it might be helpful for people considering purchasing the OvaCue to see it in action. If you’re already taking your OvaCue readings, I hope I can give you some extra tips and tricks to make sure you’re getting the most out of it from the start! I use the OvaCue on a daily basis to track my somewhat ‘regular’ cycle. I’m hoping this blog can be helpful to women with all different cycles who use the OvaCue. In addition to posting my own cycle data, I’ll also be providing “guest” charts to help interpret cycles that may not be so black and white. You’ll also get to know a little bit more about me! Hello! 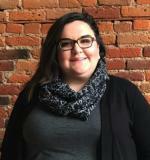 My name is Cassie, and I am the newest member here at Fairhaven Health. Just recently I was diagnosed with PCOS. 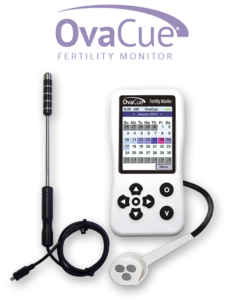 Since starting at Fairhaven, I have been using the OvaCue to track my very irregular cycles to better understand what this hormone imbalance means for me. I’m looking forward to tracking my cycle and getting to know all you ladies! Additionally, we will touch upon many of the common customer service questions that come in. Hopefully, this blog will provide you with a better understanding of how the OvaCue works with somewhat regular and irregular cycles, and the valuable insight it can provide you. And of course, if you have any questions, always feel free to reach out!! !